When we first heard about this Latin American gastropub called Ito, aptly named for its mojitos & cafecitos, our interest was piqued. There’s pretty much nothing about that description we don’t love. ITO is unsuspecting, so if you’re looking for your typical South Beach scene, you might want to look elsewhere. This gem is for the insiders, those who don’t need to be seen at Prime One Twelve to know that they’re in the know – you know? ITO exudes this laidback, old school Miami vibe that’s not so easy to find. Where else can you show up in shorts and sandals OR your Saturday night’s best and feel just as comfortable either way? Now add in a view of the ocean and some killer Latin American dishes and we’ve got ourselves a winner. The staff genuinely makes you feel as though you’re in a relative’s home...that is, if your relative happened to be a 25-year-old chef prodigy. No fuss, just feel-good food and friendliness. Now it wouldn’t be proper to start this meal off any other way than with a mojito. ITO is like the Willy Wonky of Mojitos – they have about every flavor imaginable. 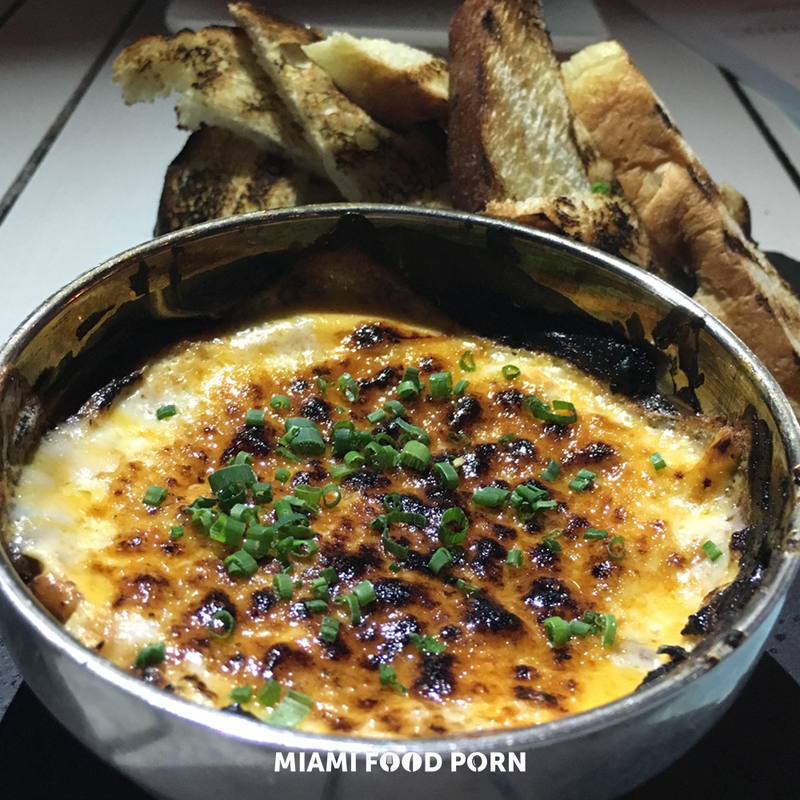 Keep it classic or try something new…we of course opted to try ITO’s in-house creations…hey, when in North Miami Beach! First up: Yucca bites filled with queso fresco. Let’s just say ITO set the bar pretty high on the first dish. It’s a warm, delicious, melt-in-your-mouth appetizer. As if the yucca bites weren’t A+ on their own, ITO gave us a generous side of home-made cilantro aioli for dipping. If it was socially acceptable, we might have stuck a straw in it. Another small dish that packed a big punch was the ham croquettes with blueberry jam. They certainly nailed it with this salty & sweet combo. This chorizo dip was loaded with flavor and felt so sinfully satisfying. It came with a side of grilled bread, but we’d recommend a spoonful to the face. Either way, you can’t go wrong. Two things we love: chicken wings & mojtos. In one dish. Yes, you heard correctly- Mojito Chicken Wings are a real thing and they are phenomenal. In case you’re still not full (we’re not judging, we’re bottomless pits too), you can get involved with the main dishes. Our recommendation is this Churrasco steak with chimichurri and Malanga puree. Hot. Damn. Last, but certainly not least, dessert. This is where ITO really shines and this is where we really felt the need to unbutton our pants. ITO had the revolutionary idea of taking the beloved guava & cream cheese combo and saying, “Move over pastelitos. We’re about to do something better.” Ballsy, we know. Take a look at these guava & cream cheese donuts and try not to drool. We can die happy now.